So, this past weekend I was in the mood for a waffle, which was never realized at Caffe Bene. However, I did go to Waffle Bant after leaving Caffe Bene hoping to fulfill my desire for a fruit and syrup drenched waffle. Well, I got a waffle of sorts – just not the kind I was hoping for. 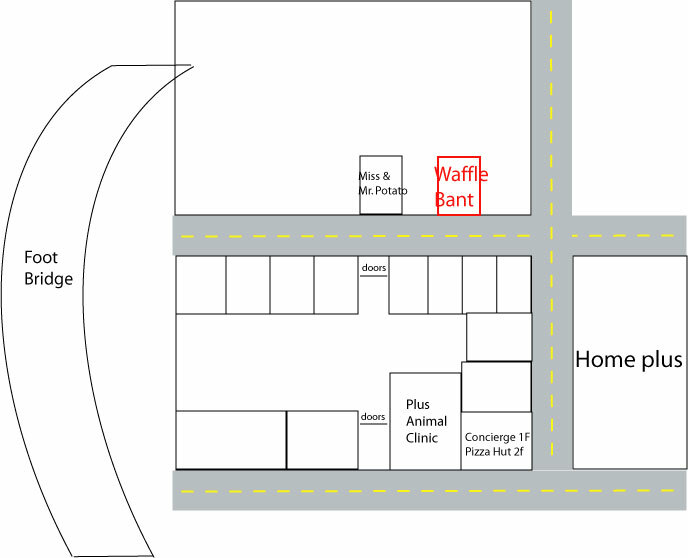 Waffle Bant is a chain of waffle stores with the Yeongtong branch located in the same area as Miss & Mr. Potato. 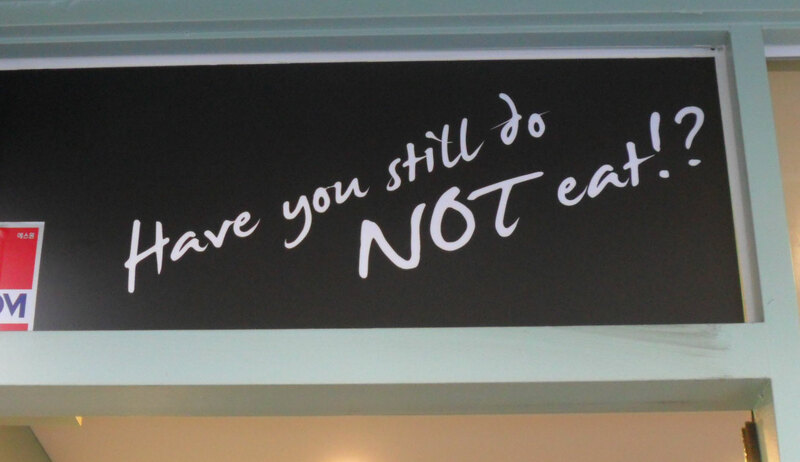 They have this strange saying all over the place in the shop, too. I kept looking at it and chuckling to myself. They really only have 3 kinds of waffles here at this location (bigger locations may have more – I don’t know): plain, walnut, and…and…blueberry I think? I’ll check on that. The little Belgian waffles are about the size of the palm of your hand and perfect for a little snack. They cost around 2000 won each. They have sets available with a waffle, coffee, and some ice cream, too. If you have a large group you want to get waffles for, you can get packs of 12 or so, as well. I got the walnut waffle (호두 와플) and sat down to wait for the ajumma to make it. The waffle is a little sticky on the outside from some type of sweet syrup lightly brushed over it, so you eat it by holding the paper. The waffle was quite good: crispy on the outside and soft on the inside with just the right amount of walnuts mixed throughout. I decided to eat it there since I was going to A Twosome Place for coffee afterwards. I was all about the being up early and doing stuff this past weekend for some insane reason. The inside of this branch is tiny, but it does have a few places to sit and enjoy your waffle/ice cream/coffee. When the lady brought my little waffle over to me, I noticed this adorable little drawing on the wrapper. After my horrible experience at Caffe Bene, this little drawing made me smile and got my weekend off to the pleasant start I was looking for. 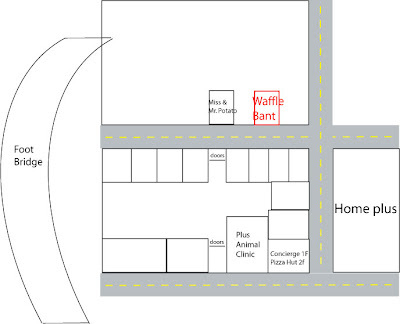 So if you’re looking for a little sweet snack after having some galbi or some spicy Korean food, stop by Waffle Bant for a little waffley goodness.